Ridley Scott has the most inconsistent career out of all the directors working today. 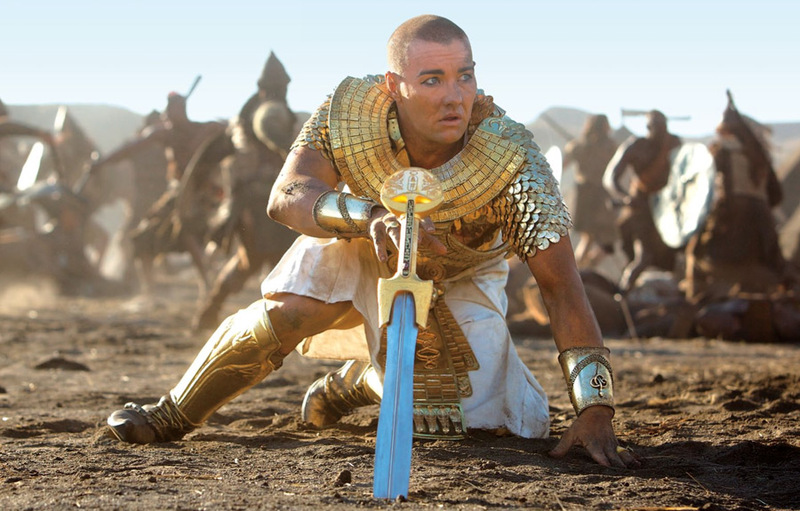 I know that may come across as a hyperbolic statement, and although I’ve defended him for years when some have described him as being past it, his latest effort, Exodus: Gods and Kings is making me reassess his works from recent years. For a man revered for Alien and Blade Runner, and capable of directing entertaining flicks like Gladiator and Black Hawk Down, it’s understandable that he may have some clunkers here and there, but it’s quite alarming when they account for four of his last five outings, all within the past six years. What compounds this even further is that this film is arguably his worst. Ever. 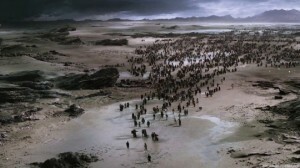 An adaptation of the exodus of Hebrews from Egypt as told in the Book of Exodus, the film offers a rather liberal adaptation of the well-known story. Moses (Christian Bale), a general and trusted confidant in the Egyptian royal family, learns about his true heritage when inspecting the Hebrew slaves’ conditions. Upon hearing this as well, the new Pharaoh, Ramses (Joel Edgerton), uneasily exiles him, despite their already strained friendship. After nearly a decade in the desert, Moses encounters God, who commands him to return to Egypt and free the Hebrews. I wish I could cut Scott and editor Billy Rich some slack since they had to cut down what was originally a 4-hour-long first cut into the finished film, which runs at 150 minutes. Is that cut, or any substantially longer version, much better and more compelling than the one playing in theaters? I’m willing to bet yes. In fact, I wouldn’t be surprised if there will be another cut of the film released on home media that’s closer to what Scott originally envisioned, á la Blade Runner and Kingdom of Heaven. However, I have an extremely difficult time believing that this was the best they could do if their aim was to cut the film to meet a shorter runtime. 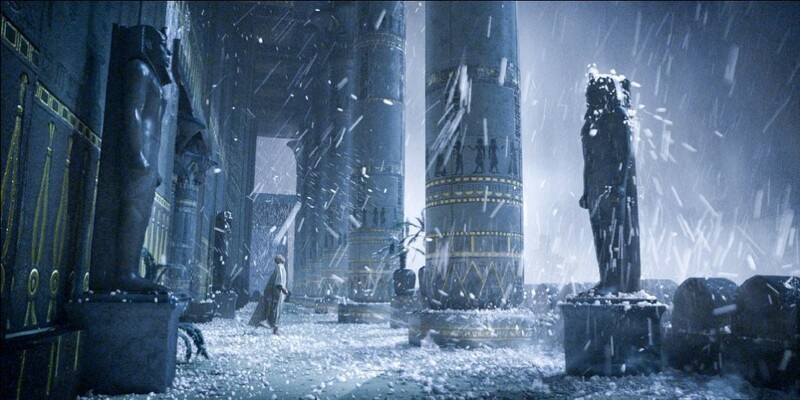 Exodus: Gods and Kings comes across as half-baked, and that stems from an inability to recognize what is supposed to drive the story. As a result, the film feels incomplete, especially on a thematic level. Is the “brotherhood” between Moses and Ramses the main conflict behind this tale, just as it was in the Dreamworks animated film The Prince of Egypt? If it is, there’s literally nothing to go off of, as their relationship is cold and lacks beat; we understand that it’s testy, but it remains stuck in that for the entire film. There’s no natural progression to the themes of doubt and faith, either. If anything, the film is too occupied with visualizing the events in the story that it fails to foster any sort of meaning behind it. An engaging film needs to be dynamic – it needs themes and relationships that actively develop. Otherwise, it becomes a flat-out boring picture, as it does here. What’s there to care about? Moreover, the film reeks of pointlessness, no thanks to the questionable editing. 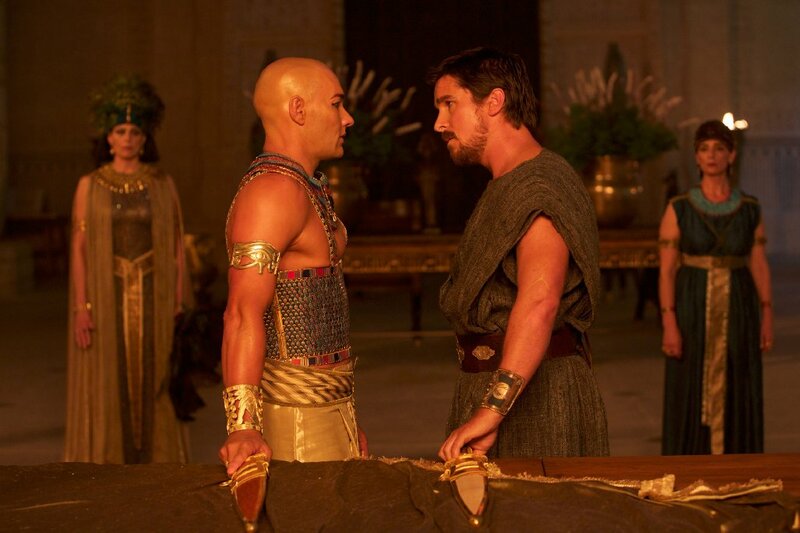 There’s an opening battle between the Egyptians and the Hittites that’s supposed to drive a wedge between Moses and Ramses, but that’s already done in the space of a few seconds when Ramses’ father, Seti (John Turturro), tells Moses that he trusts him to lead more than he does his own son. That’s one point that apparently takes a while to make, but can also be done quite quickly. Unfortunately, it’s not the only time the film does that. There’s also the puzzling treatment of the numerous minor characters. Sigourney Weaver shows up as Ramses’ mother Tuya, but she says less than 10 lines before disappearing. Aaron Paul plays Joshua, but all he does is look at Moses from behind things. Ben Kingsley is here too, but it’s too easy to forget him. 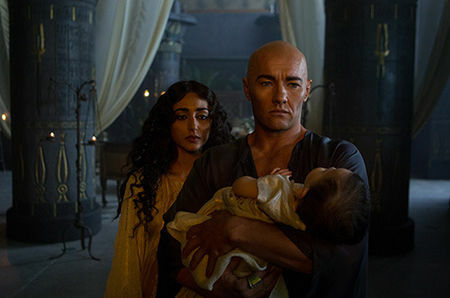 Instead, prominence is given to Moses’ wife Zipporah (María Valverde) and son Gershom (Hal Hewetson), and all they do is remind or question Moses about his commitment to his family in the short time they are on screen. On top of all that, the film severely suffers from abnormal pacing. It chooses to focus on featherbrained or nonexistent themes and relationships that it thinks it’s developing but really isn’t, making it a slog to get through. It doesn’t help that meaningful, “important” scenes are glossed over or rushed, such as Moses bidding farewell to his mother and sister, and Ramses’ interaction with his family, thereby rendering them such that they become characters I don’t care about. The only times the film finds respite are when the ten plagues come to life, which unfold at an even pace. 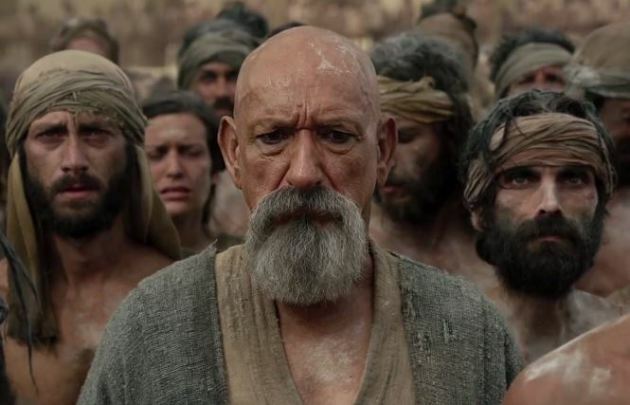 I’m not entirely sure what sparked the return of big-budget Biblical epics, but this year has seen the re-emergence of them, and it’s a curious time for them to appear again. We’re no longer in the ’50s, a time when triumphant films like Ben-Hur (there’s a remake with Jack Huston being planned) and The Ten Commandments were released to what were mostly Judeo-Christian audiences with the intent on pleasing them. This is a different time with a different audience, and Hollywood understands that. Productions like Noah and Exodus: Gods and Kings are now made with the hope of pleasing both the Judeo-Christian camp and everyone else, but they usually fail to do so. Like Noah (a film that I found unusual yet solid), this film emphasizes the darker nature of the biblical tale and not only takes some creative liberties, it makes a risky storytelling choice to set itself apart from other similar adaptations. Here, that risky choice involves God, who takes the form of a child when appearing to Moses. I imagine this is where the film will lose a good chunk of its Judeo-Christian viewers. It’s not just the fact that the film portrays God as a child (though I’ve heard from some that the child may actually be an angel) that will tick off some viewers, it’s the perception that He is a petulant and rather whiny child at that. Personally, it didn’t bother me (full disclosure: I’m Christian). For one, I think that storytelling choice stems from an understandable interpretation of a wrathful God in the Old Testament and a loving God in the New Testament, which in turn is the product of what is a secular-minded and -practicing society (arguably the biggest change since the ’50s), which I expected. Secondly, I actually welcomed it because when this came up in the film, it immediately perked my attention, as everything before it was an absolute snoozefest. Due to the rather butchered nature of this cut, the cast’s performances are heavily constrained to whatever material they’re left with that’s onscreen, and that includes the leads. Christian Bale’s Moses has zero charisma. He certainly establishes an authoritative presence, but there’s nothing to suggest that he’s anything other than doubtful and angry. Joel Edgerton fares a bit better, as he is portrayed in a somewhat sympathetic manner late in the film, and he does what he can to take advantage of that. However, like Moses, his emotional range is quite limited by this cut. Sadly, none of the supporting cast leave an indelible impression, though I’m sure they do so somewhere in a mountain of deleted scenes. I will say that the film is stunning on a visual level. 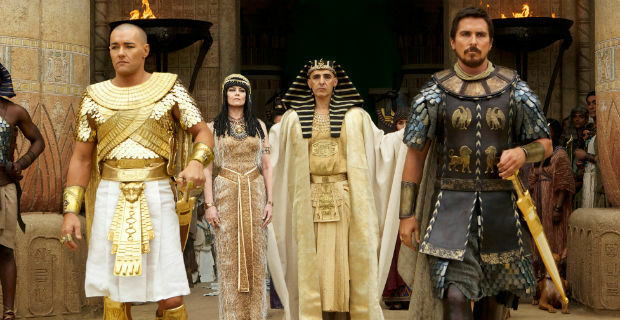 Arthur Max’s production design effectively shows off the lavishness of Egyptian royalty through some memorable props and sets, which stand in stark contrast to the Hebrew slaves’ miserable and ragged lifestyle. Cinematographer Dariusz Wolski’s penchant for wide shots captures the epic scale of this story. 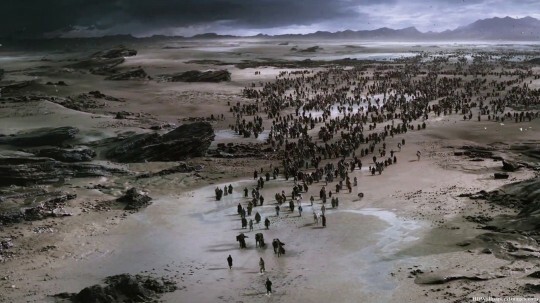 The sequences portraying the ten plagues, in which we see God unleashing crocodiles, frogs, flies, and locusts (to name a few) on Egypt, are breathtaking and even overshadow the parting of the Red Sea. I value masterful Ridley Scott films. I am entertained by rousing Ridley Scott films. I get puzzled by some odd Ridley Scott films. 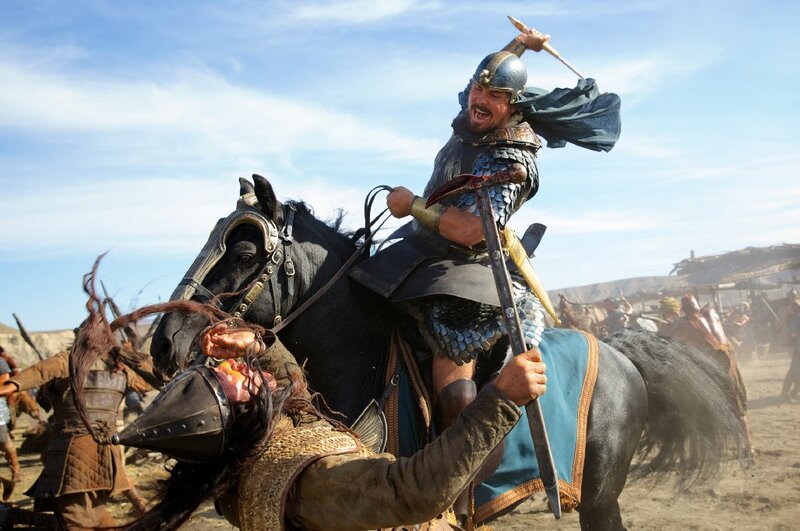 What I can’t stand is a boring and pointless Ridley Scott film, and Exodus: Gods and Kings is just that. It hurts, because the cut of this film reflects a complete lack of interest and investment in the material, material that this great director shot. He knew what he wanted to show and tell, but he apparently allowed the release of a version that doesn’t indicate that. I can’t shake off the feeling that Scott is taking on projects that he didn’t want, projects that he didn’t have an interest in, and anyone can tell from watching them. This is one of them, as was Body of Lies, Robin Hood, The Counselor. The only one that speaks otherwise is Prometheus. My hope is that he’ll tackle a film that he earnestly wants to do, lest his list of stinkers only grow. This entry was posted in Movies on December 16, 2014 by Jun I.